The Christian roots of Mormonism are mainly found in restorationism, a group of 19th-century, mostly American religious movements searching for pure, original Christianity (Grandstaff & Backman 1990). The New Testament was their main source of inspiration. Initially, Joseph Smith, the founder of Mormonism, also sought his inspiration in the Bible. Prominent restorationist converts to early Mormonism were, amongst others, Parley P. Pratt, Sidney Rigdon, Martin Harris, Orson Hyde and Edward Partidge. “In Nauvoo Joseph introduced many uniquely Latter-day Saint teachings, doctrines not only new to the Prophet’s Christian contemporaries outside the Church, but mostly not taught to the Latter-day Saints prior to 1839. Innovative theological precepts revealed in Nauvoo include some of Mormonism’s most central doctrines and practices: celestial marriage [=polygamy], the familial relationship of God the Father and of his Son Jesus Christ to humanity, the character of God, the materiality of spirit, a more comprehensive understanding of the keys of the priesthood, premortal existence, the plurality of gods, ordinances for the dead, and the endowment” (Porter & Backman 1992). With these doctrines and practices, the Mormons distanced themselves from traditional Christianity. Not long after the death of their prophet Joseph Smith in 1844, the Mormons left Nauvoo for the rugged, remote territory of Utah. This geographical isolation reinforced their social, economic and religious isolation. Mormon rethoric in those days was distinctly anti-American and anti-Christian. Near the end of the 19th century, Utah joined the Union as the 45th of the United States of America. This also ended the intertwining of church and state which had been a defining characteristic of the first Mormon communities, and also the main source of conflict between the Mormons and their American neighbours in Ohio, Missouri and Illinois. The restorationist antagonism toward traditional Christianity lingered, however. It was not until the early 1980s that the Mormons started to present themselves as Christians again. 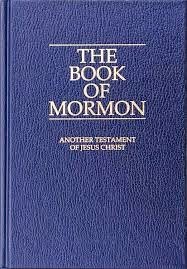 In 1982 a subtitle, “Another Testament of Jesus Christ” was added to the Book of Mormon to emphasize the new direction. In 1995, the church’s logo was modified to make the name “Jesus Christ” more noticeable. And in 2008 the Mormons launched the website www.jesuschrist.lds.org – 14 years after the church became active on the internet and some two years after the publication of www.josephsmith.net. As far as the Mormons are concerned, this makes them a Christian church. They usually rely on a simple definition of a Christian as someone who believes in Jesus and tries to live by his teachings; or they point out that the name of their church has Jesus in it so they must a Christian church; or that the name of Jesus often occurs in the Book of Mormon, or in Mormon church hymns (Book of Mormon 2013, p. 458; Edgley 1998; Packer 1998; Robinson 1998; Wells 1984; Wirthlin 1996). On the surface, then, Mormonism can be considered a Christian religion. Early Mormonism showed clear primitivist Christian tendencies and for the last 30 years or so, the Mormon church has worked hard toward projecting a Christian image to the outside world. At the same time, however, it must be noted that, for the most part of their history, Mormons have rejected – and, cosmetic changes aside, still reject – almost all Christian core doctrines (Hinckley 2002a, 2007; Holland 2007). The reverse is also true. 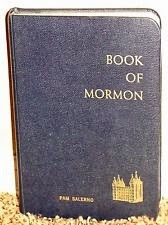 Almost all of the “unique” and “innovative” Mormon teachings of the Nauvoo era are rejected by most mainstream Christian churches. A more interesting question, therefore, is why Mormons want be perceived as Christians so much. Modern Mormonism is two-faced. Externally, a superficially Christian PR-image is cultivated while internally, orthodox Mormon teachings and behaviours continue to be emphasized. Time has yet to tell which of the two will turn out to be the true face of Mormonism.